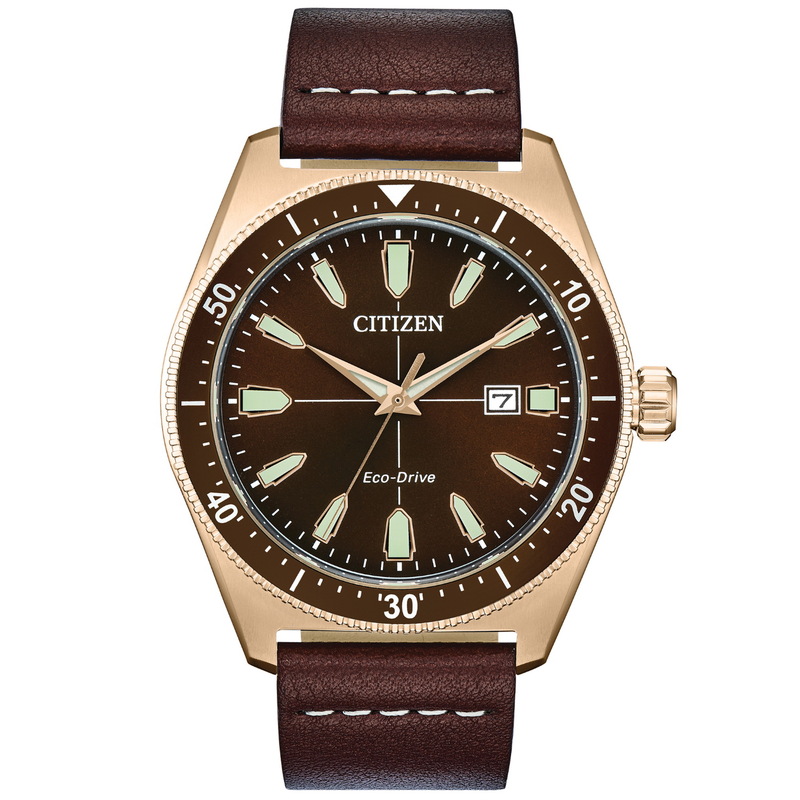 Here’s a throwback from Citizen, a redesign of their vintage sport watch, the Brycen with its 43mm, 333ft water-resistant case which is fitted with a mineral crystal. 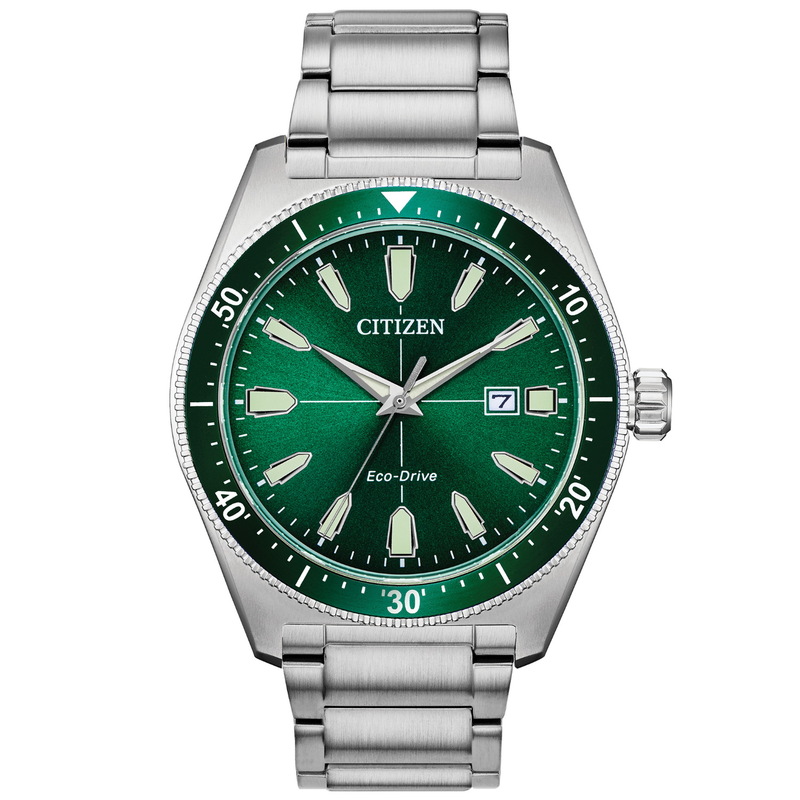 The watches feature Citizen’s Eco-Drive, light-powered technology in the form of a J810 caliber. Ref. 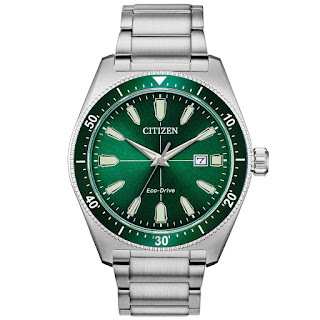 AW1598-70X with its silver-tone Stainless steel case and pine green bezel and dial, comes on a Stainless steel bracelet and has an MSRP of 325USD. Ref. 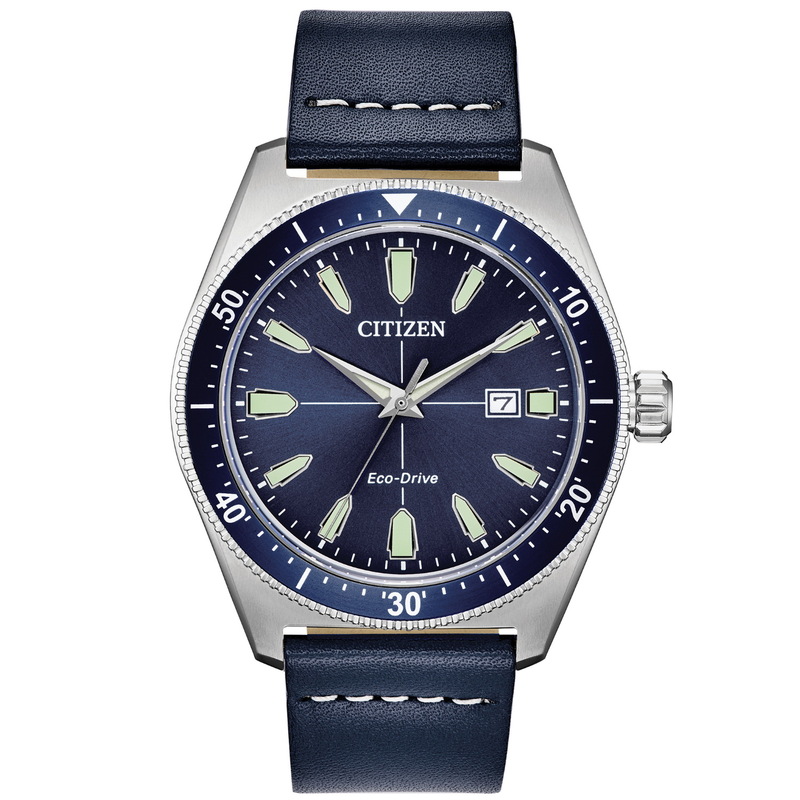 AW1591-01L with its silver-tone Stainless steel case and indigo blue bezel and dial, comes on a matching indigo blue leather strap and has an MSRP of 295USD. Ref. AW1593-06X with its rose gold-tone Stainless steel case and dark brown bezel and dial, comes on a matching dark brown leather strap and has an MSRP of 295USD. Thoughts? Pretty nice looking watches, sapphire crystals and another few meters of WR and these would be perfect.